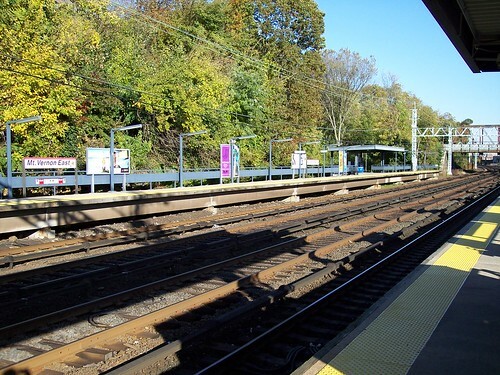 We ended one of our journeys on the New Haven Line here in Mount Vernon East. Below, our train departs for New York. Although the catenary poles still stand, the tracks are powered by 3rd rail through here. 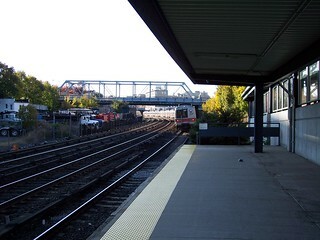 As recently as 1997 the station was still simply called Mount Vernon.